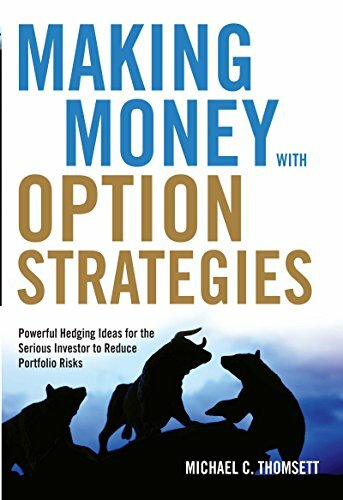 Making Money With Option Strategies is a practical, down-to-earth guide that introduces and fully explains an action plan to reduce risk in any stock portfolio. There are many options books available already, and they fall into two major categories: basic primers limited to explaining the terminology and market of options; and more advanced books discussing theory and pricing models of options. None of these books addresses the largest audience of all—those who know the basics but are not interested in theories and pricing models. They want clear, practical ways to apply these principles to make money and reduce their risks. Making Money With Option Strategies is designed for this market. Michael has traded options since the mid-1970s and is the best-selling options author in the United States. His best-selling Getting Started in Options, a beginner’s book now in its ninth edition, has sold more than 300,000 copies since 1986. Many people view options as exotic, complex, and high-risk beasts. They are not. If your portfolio risk keeps you up at night, adding carefully designed option strategies to hedge risks will help you get a good night’s sleep.